THQ have announced that the co-op mode for Warhammer 40,000: Space Marine, ‘Exterminatus' is available on the PlayStation 3 and PC to download for free. The version for the Xbox 360 go live a little later. Space Marine's Exterminatus mode pits an elite squad of four Space Marines against hordes of alien enemies in a score based fight to the death. 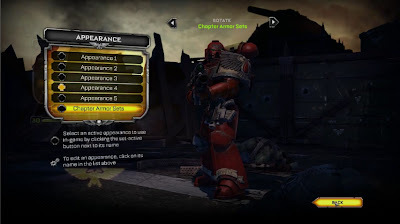 Players can choose the Tactical Marine, Devastator or Assault Marine as well as utilizing any weapons and perks available to those classes. Each of Exterminatus Mode's scenarios, ‘Assault on Hab Center Andreas' and ‘Escape From Kalkys Facility,' feature global leader boards challenging players to better their scores by completing dynamic challenges as well as utilizing score modifiers which increase game difficulty in exchange for additional points. Experience earned while playing this mode counts towards the game's multiplayer ranks, allowing players to earn progression in both Co-Op and Multiplayer. Space Marine's Exterminatus mode is available to download for free on the PlayStation 3 computer entertainment system and Windows PC. The Xbox® 60 version will be available for free a little later down the line.